​Watercolour is a significant component of my studio practice and dates my earliest work. I am constantly transfixed by its variable qualities and how watercolour can suspend an action in time. 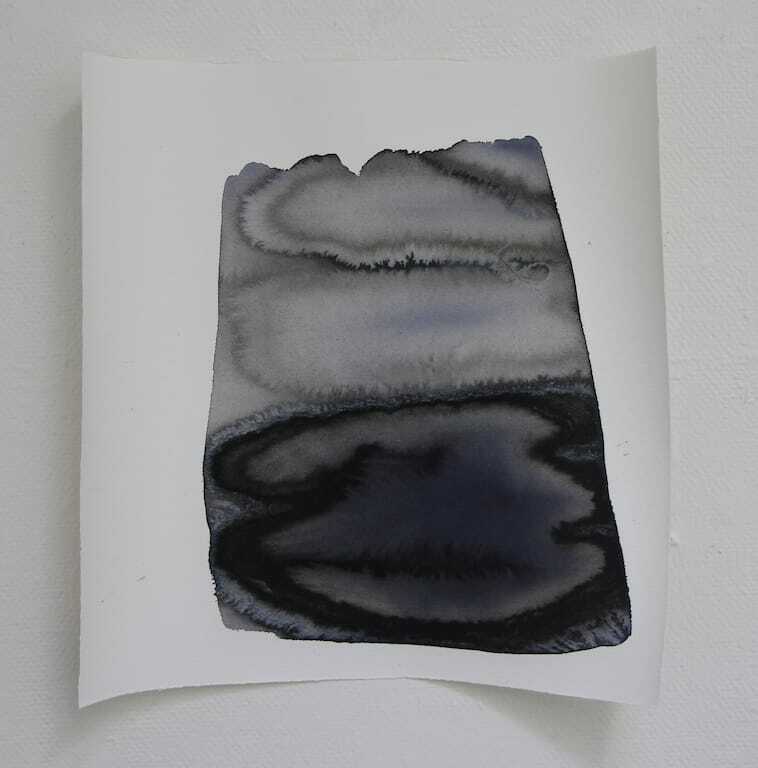 The vast majority of my watercolours are a record of phenomenological processes intersecting with forms I impose. 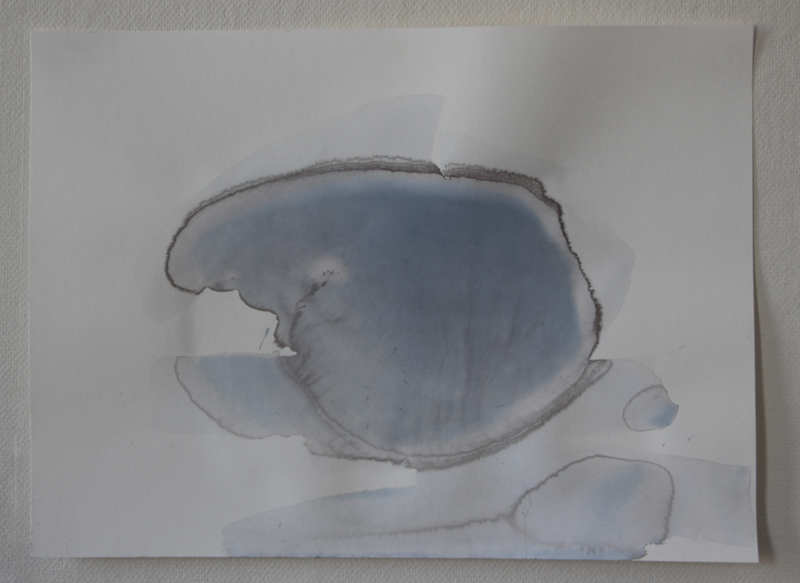 I draw lines, pour and pool water, hang and tilt the paper so water and colour gather on an edge and sometimes run-off. Albeit a fixed image, these residues of past occurrences-water lapping against a container, carries movement and stillness at once. ​I keep trying to catch the laws I feel illustrated in phenomena: in the meetings and just-not-meetings; in forces abutting, thrusting one against another, illuminating one another. A force is only visible in its effect, and it is the split second in which this effect becomes just barely visible that haunts me. Untitled, 2014, Watercolour on paper, 23" x 30"